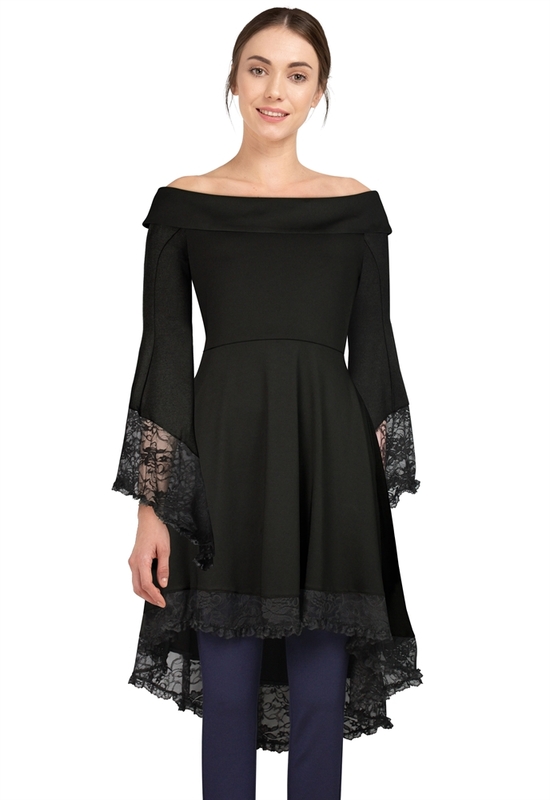 This semi off shoulder dress features with a fold down collar and long sleeves. The cuffs and bottom hem are trimmed with lace. Hidden side seam pockets. Standard size approx. length: 40 inches; Plus size approx. length: 42 inches.